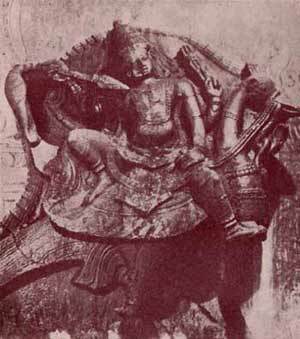 Next in order, in the pillared corridor, is a sanctum with a large monolithic figure of Subrahmanya seated on a peacock and engaged in war with the asuras. It is followed by another representation in stucco of Surapatuma himself. He is seen pierced through by the Vel. A fierce chanticleer is seen flying above.  The frightful mango tree into which he transformed is broken in twain, and Subrahmanyam himself is seen seated on the peacock. The whole is of beautiful imagery and workmanship and highly realistic. Śiva lingas follow then at intervals, Saint Arunagirināthar coming as the last of the series. It is significant that the figure of the author of Tiruppugazh is given a sanctum and almost canonised here in this famous shrine. At the centre of this prakāra, there is the western portal the Mela-gopura-vasal of the temple. It is on a higher level reached by a flight of 27 steps from within. On the outer side of this doorway is the principal western gopuram of the temple. Facing this doorway on the prakāra is a shrine to the colossal Mela Vāsal Vināyagar. 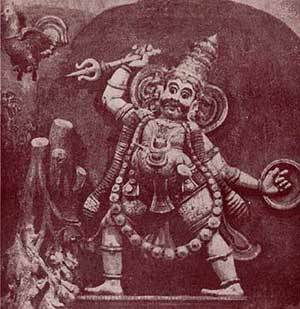 He is known also as Muk-kurinip-Pillaiyar.